The life of Bud Powell is a mirror of confusion and inspiring talent. The struggle to deal with mental problems and still create art. It is the struggle that inspires musicians who feel misunderstood! 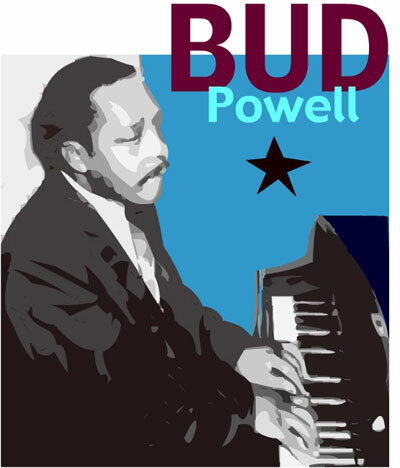 Bud Powell was an American Jazz pianist, usually considered one of the most influential in the history of the music. Along with Charlie Parker and Dizzy Gillespie he was instrumental in the development of bebop, and his virtuosity as a pianist led many to call him "the Charlie Parker of the piano". 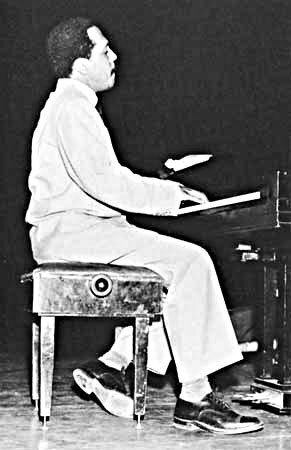 Powell soon became renowned for his ability to play accurately at fast tempos, his inspired bebop soloing, and his comprehension of the ideas that Charlie Parker had suddenly unearthed from "Cherokee" and other song-forms. Bud Powell's solos, conceived in imitation of and rivalry with Charlie Parker, are instantly recognizable. They are nonetheless progressive-sounding, exploring the harmonic series in unexpected ways. Its cool to hear Powell play and unexpected how he challenges your listening! He often formed carefully phrased statements, moving confidently and singing along, even where a phrase broke off, through moments of eloquence and near awkwardness.